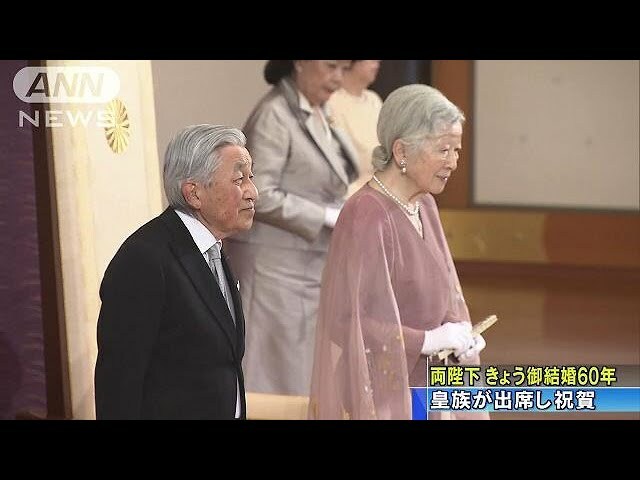 Emperor Akihito and Empress Michiko marked their 60th wedding anniversary on Wednesday, with celebratory events held during the day ahead of the emperor's abdication at the end of the month. With their elder son Crown Prince Naruhito, 59, ascending to the Chrysanthemum Throne on May 1, this was the last time they celebrate their wedding anniversary during the 85-year-old emperor's reign. In 1959, then Crown Prince Akihito married Michiko Shoda, the daughter of a businessman, making her the first commoner ever to wed an heir to the imperial throne. About 530,000 people swarmed Tokyo's streets to see their wedding procession as they rode in a horse-drawn carriage from the Imperial Palace to their residence. The emperor will step down on April 30, becoming the first Japanese monarch to abdicate in more than 200 years. 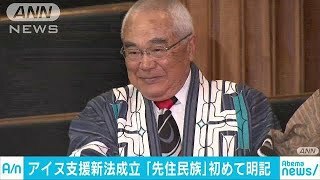 Although the emperor and the 84-year-old empress did not attend, a cross-party group of lawmakers and business representatives staged a festival to celebrate Emperor Akihito's 30-year reign at the National Theater in Tokyo.